Moondog reports that KLBJ-FM radio in Austin announced that the Black Crowes will be playing Austin's SXSW festival on March 15th at Stubb's, and this is also listed on Pollstar. Moondog also reports that Rush has annnounced on it's web page an Austin stop on their late spring tour. Though no venues have been announced, it will likely be Austin's Backyard, or UT's Frank Erwin Center. Keep watching here for details. Still no word on the venue for the Go Go's announced stop in Austin in February. They Might Be Giants will be at Stubb's on March 5th, followed by the Dropkick Murphys on March 7th, both taking advantage of that pre-SXSW buzz. Over at La Zona Rosa they still have tickets left for January gigs by As I Lay Dying on the 15th, Robin Trower on the 27th, and The Bangles on the 31st. Blues legend B.B King will play the Austin Music Hall on April 6th, tickets go on sale this Saturday, and Robert Smith brings The Cure to the music hall on June 8th, tickets on sale soon. Actor/Musician Jeff Daniels of Dumb & Dumber fame will be performing there as well on January 23rd, followed by Al Stewart (Year of the cat) on January 26th. Tim Finn of Split Enz & Crowded House will play the Cactus on February 19th. The L.A. Guns are booked into a brand new venue run by Broken Teeth's business manager called Rock City Icehouse of February 20th. 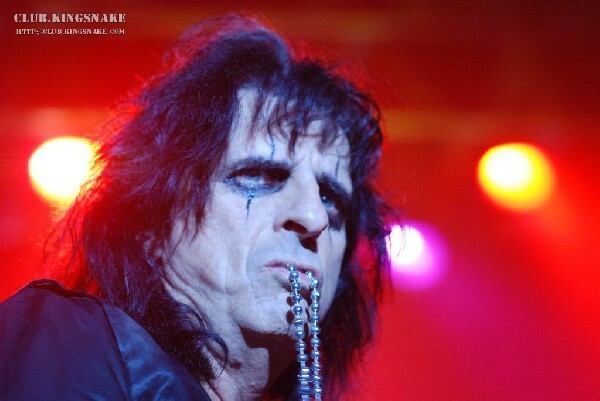 finalists have been selected and submitted to our judge, Alice Cooper, the snakefather of rock & roll. Results will be posted soon!